Telluride is tucked away at the end of a breathtaking valley. It is known as one of the most pedestrian friendly resorts in North America. Once you arrive here there is very little need for personal transportation. 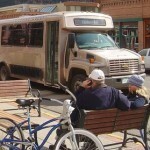 Our free public transportation is unmatched and makes your entire visit to Telluride convenient and enjoyable. 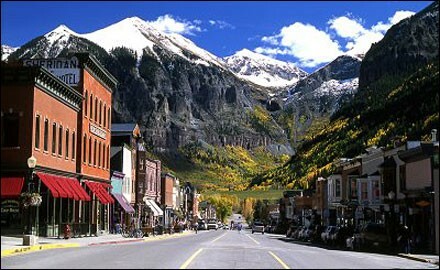 You can travel to Telluride by flight or using private ground transportation. 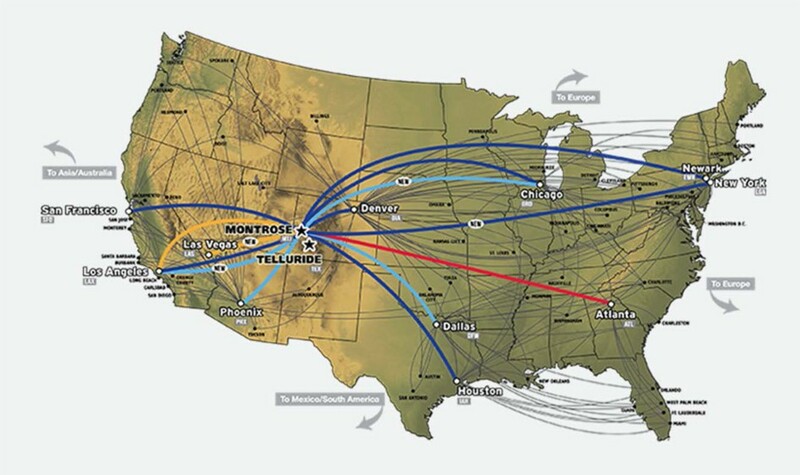 Flights are available directly to the Telluride Airport, or you can catch a flight to the nearby Montrose Regional Airport and take a private shuttle from there to Telluride. Once you arrive in Telluride you won’t need to drive. There is a free Gondola and free local shuttle service. Showing great foresight, Telluride’s Transportation Master Plan even has a comprehensive transportation plan for the region. The idea of installing the gondola between the towns of Telluride and Mountain Village we now all enjoy so much originated with the Master Plan. Future long-range plans call for a gondola to run from the airport to the mountain and a tram system. 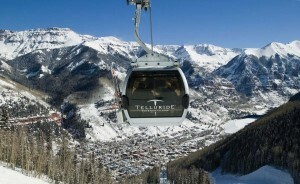 The one-of-a-kind free gondola links Telluride and the Mountain Village. It is the only transportation system of its kind in North America. The gondola runs daily from 7am to midnight. 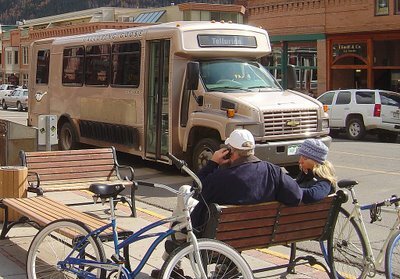 This is a free bus service which provides transportation in and around the town of Telluride, Mountain Village and Lawson Hill. It also provides paid bus transportation to Norwood and Placerville. Free transportation for guests and residents in and around Mountain Village. There is much to recommend Telluride to those looking for Colorado real estate. Among the things that really makes this area stand out is its gondola system. While the rest of the world is gridlocked on highways or stuck like sardines in packed train cars, Telluride residents can choose to commute to work on a gondola. Both residents and tourists take advantage of Telluride’s gondola transportation system to make the trip between Telluride and Mountain Village. This trip is said to offer views that are among the most beautiful in the entire country. Best of all it’s free! The gondola system is designated to remain free until at least 2020. The free price is part of an agreement between Telluride, Mountain Village, and the county. The gondola is not just a transportation system, but also a tourist attraction. Both young and old can enjoy the amazing views of the Telluride area, often getting sneak peaks at some of the area’s wildlife. Transportation specialists visit from around the globe to learn about Telluride’s gondola system. People come to Telluride for all sorts of reasons. Some come looking for a place to live, while others come for investment property. No matter what your needs in terms of real estate, Telluride has something of value to offer you. Let me help you learn about all the Telluride area has to offer. Email Raymond Bowers at info@rvbowers.com or call 970-729-2278. My staff and I are ready to assist you every step of the way in meeting your real estate goals.